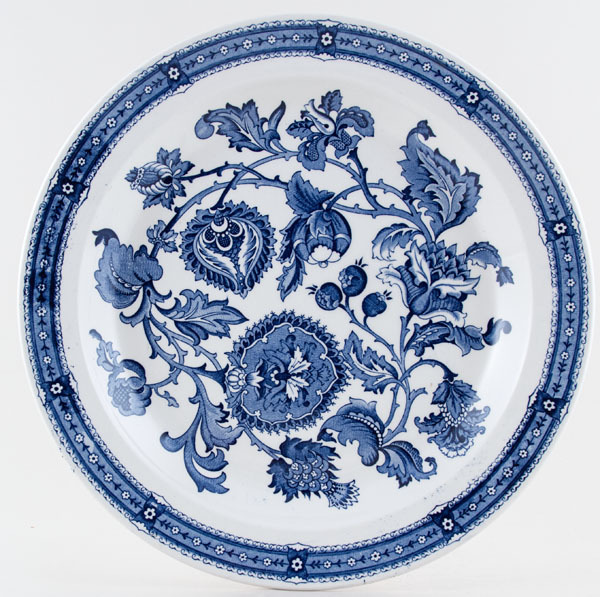 This is a wonderful large charger or shallow dish. Backstamp: Geniune Hand Engraving by Ridgway Ironstone Est 1792 Staffordshire England All Colours Guaranteed Underglaze and Detergent Proof Jacobean. A little blue smudging here and there otherwise excellent condition. OVERSEAS SHIPPING OUTSIDE EUROPE Owing to the size of this item a supplement of � about US$52 will be added to the standard overseas shipping charge.